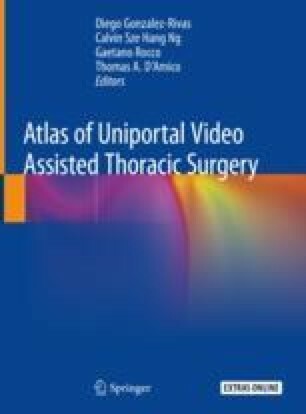 With the emergence of video-assisted thoracic surgery and more recently, thoracic surgery performed through a single incision (uniportal video-assisted thoracoscopic surgery) we have witnessed a move towards less aggressive thoracic procedures which lead us to search for minimally invasive surgical approaches and more secure anaesthesic strategies, always trying to decrease secondary injuries. However, anaesthesiologists should not believe that this necessarily implies safer or more simple procedures. In fact, anaesthesia for video-assisted thoracic surgery, requires the same level of monitoring and security than conventional open surgeries. Success resides not only in a sophisticated surgical technique but also in an adequate anaesthetic management which includes a correct selection of the patients, a suitable and personalized patient monitoring, a safe airway management, and an efficient postoperative analgesia strategy.